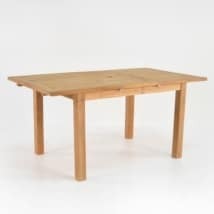 This is an Outdoor Dining Table for those times when your party is full of friends and family. 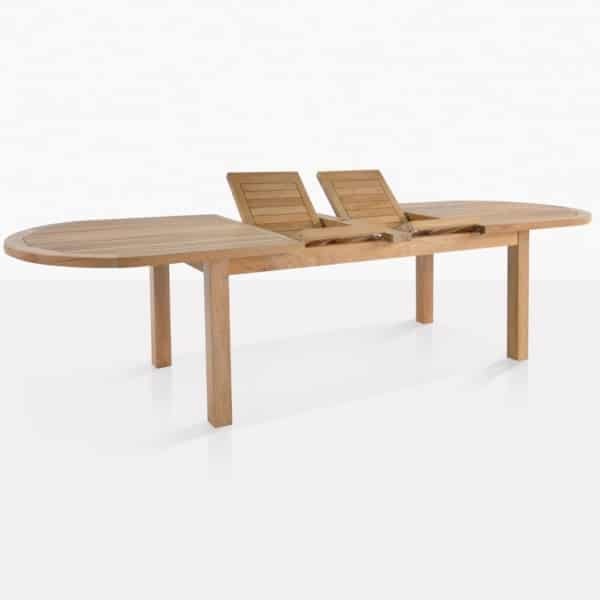 Designed with a non-movable center piece with an umbrella hole, these double leaf extension tables accommodate an umbrella when the table is fully extended as well as when the extension leaves are closed. 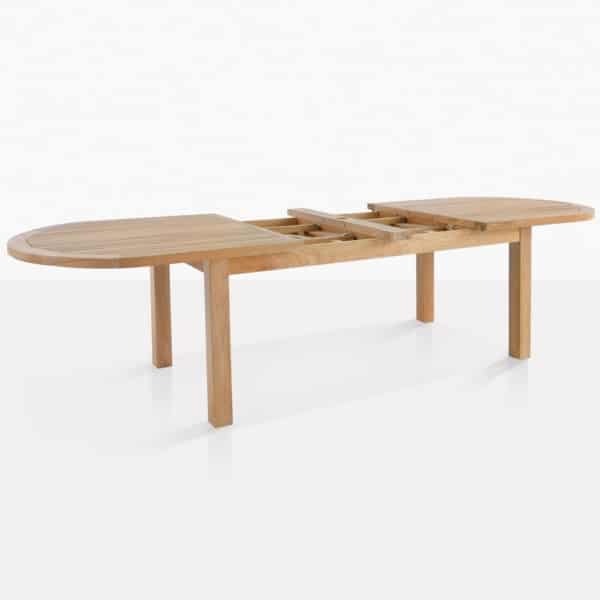 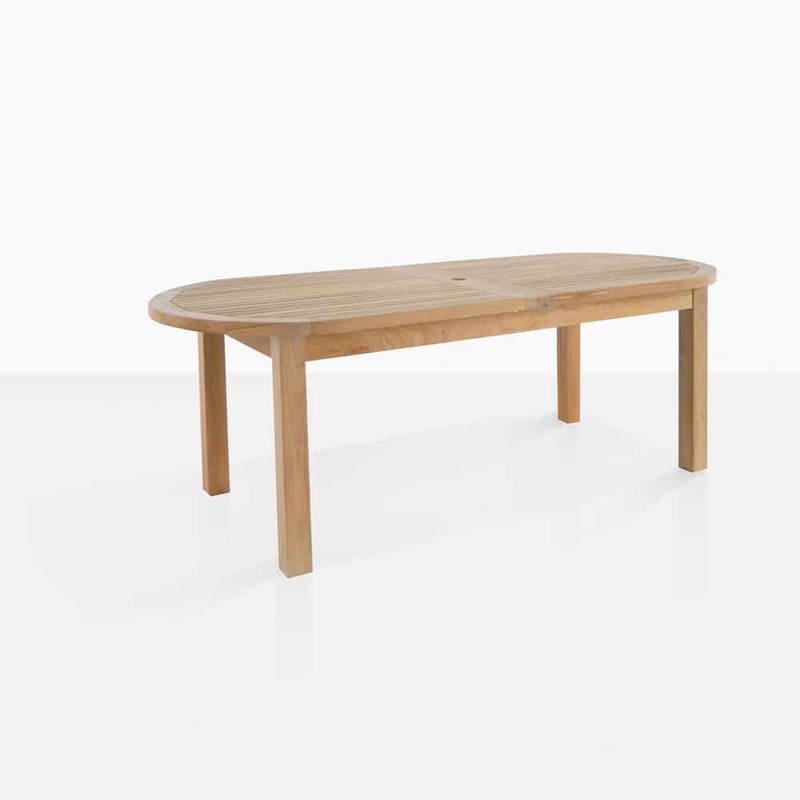 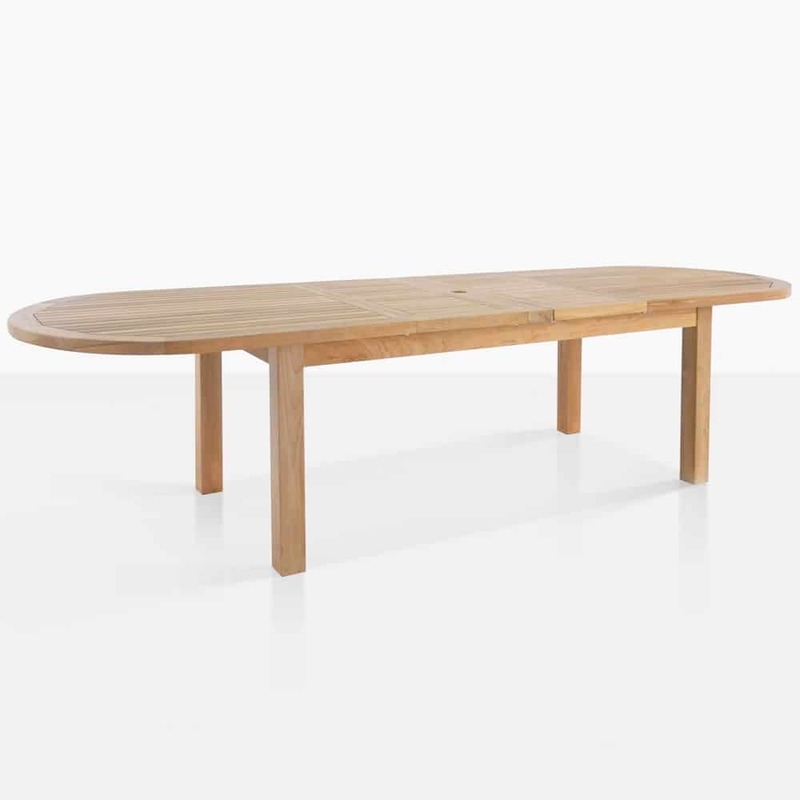 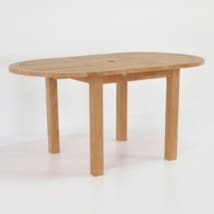 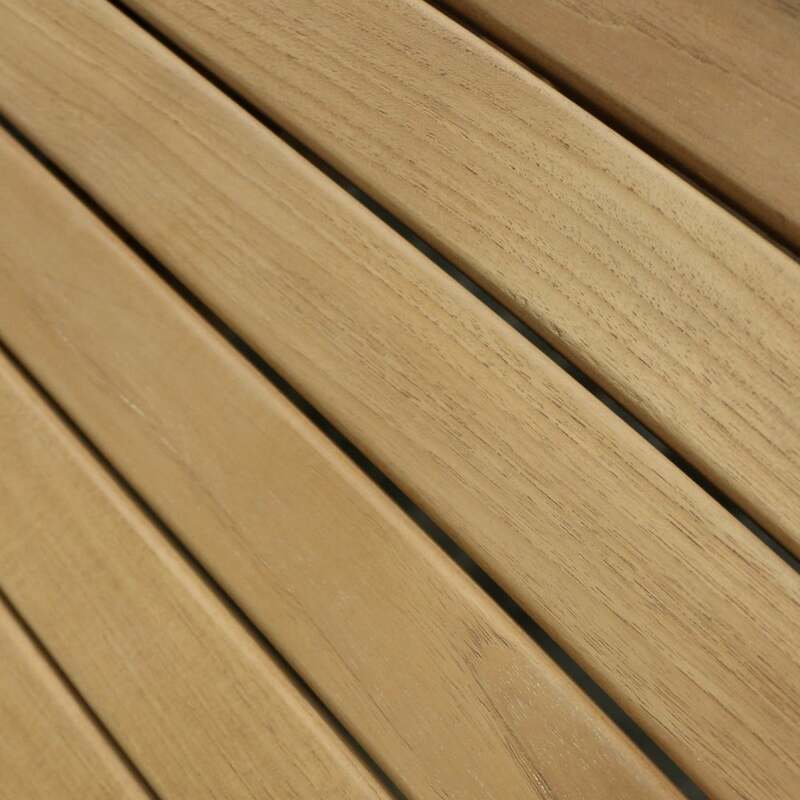 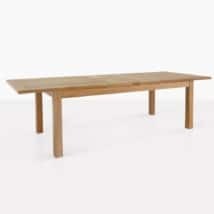 The teak dining table is made with 2 extensions, the benefit being a 3rd table length when one extension is closed. Whether your party is intimate or grandiose, the Capri extension table is sure to seat everyone!